Charging your mobile phone on the way is no longer a problem thanks to Powerbanks. But if you don’t want to carry them around with you? This mini model is a powerbank for the keychain and hardly bigger than a USB stick. Unlike you would expect, the plug is not at the long end, but on the side of the gadget. The special feature here: the connections are magnetic, in the “normal state” the Powerbank has no plug. To do this, you can remove the plug of the charging cable and plug it into the connection, which is then connected to the smartphone. Micro-USB, USB-C and Lightning connectors are available. Charging the Powerbank works in the same way. The magnetic end of the cable is then connected to the power bank. At the other end, the cable has a USB plug. There are two ways not to lose the small adapter. You either leave it plugged into the charging cable, or – if you don’t want to take the cable with you – leave it on the power bank itself. But if the plug does come away, you can also buy it again. Several of the batteries can be charged simultaneously via the charging station. 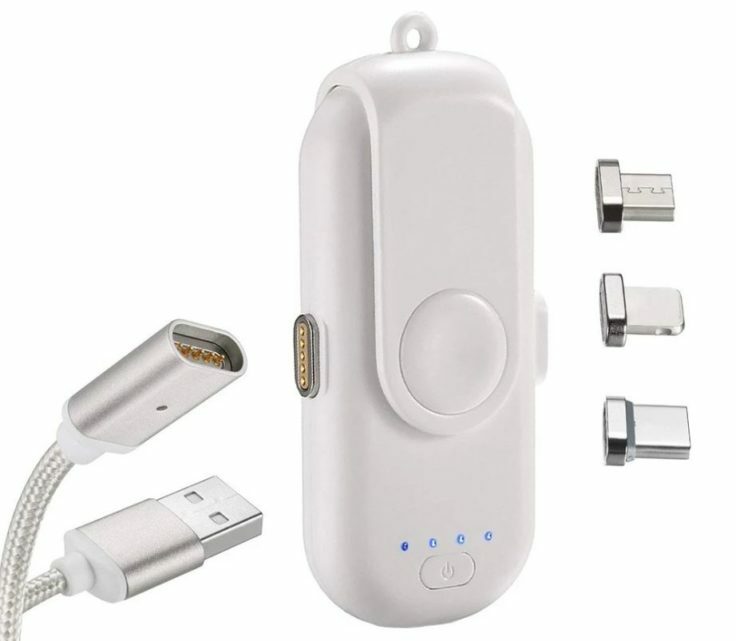 The Powerbank is available with all three common smartphone connections, i.e. Micro-USB, USB-C and Lightning for iPhones. The only drawback: You can’t order the adapters separately but only one Powerbank with an adapter. 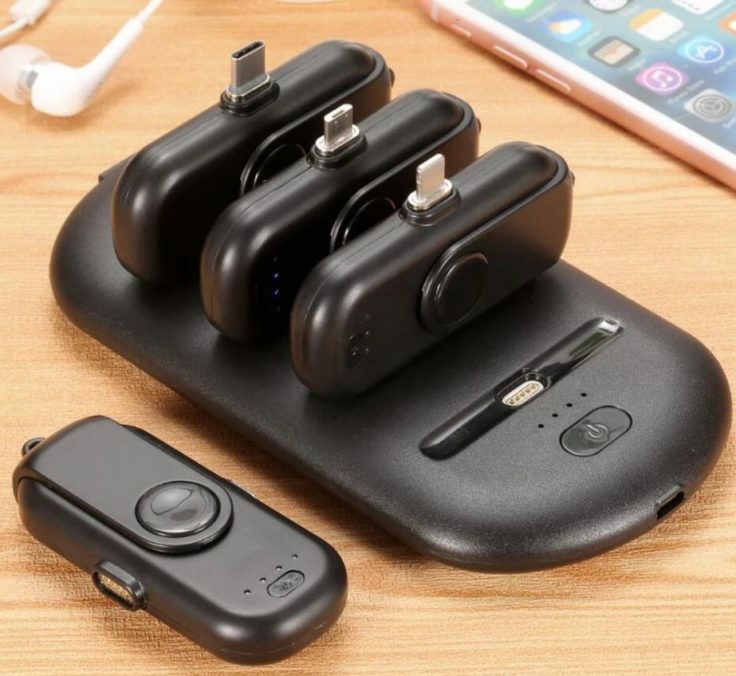 Or you can order a complete set: in addition to a total of four Powerbanks, it also includes a charging station and all three connector types. It seems that the station itself contains a battery, but the exact capacity is not clear to me from the description. That would clarify how it works, but that still leaves the intended use. Especially with a capacity of “only” 1,000 mAh, some people wonder what to do with it. By comparison, smartphone batteries are already more than 3,000 mAh strong on average today. That is why I see two possible applications here. The powerbank is barely longer than a smartphone is wide. First: As an absolute emergency gadget, if the mobile phone is completely empty on the way, but I am waiting for a call or a message. Or I would like to reach someone myself or look up my train connection or directions online. The capacity will then be sufficient for this. You just shouldn’t be too generous with the Powerbank, so that it is really charged if necessary. And second: Don’t charge your mobile phone, but for example Bluetooth headphones or other small electronic devices. Their batteries are often significantly smaller, often around 100 mAh for headphones, for example. As a drone fan, I can think of models like the RYZE Tello or Mitu Drone, both of which have a battery capacity of around 1,000 mAh, so they could be charged once with this power bank. Conclusion – compulsory purchase or non-purchase? I really like the concept with the magnetic plugs and the idea of a small emergency battery on a bunch of keys. I also think the set with the charging station is a great thing. The prerequisite for this is, of course, that the processing is correct and in particular that the magnets also hold. If this is the case, the only critical point is the price. $10 for 1,000 mAh is not a good price, for the same money you sometimes get ten times the capacity. You can’t compare 1 to 1, but if you are looking for a lot of capacity for your money and are looking for a “real” power bank, you should stay away from this. But the fact that the battery is so small also has its advantages. 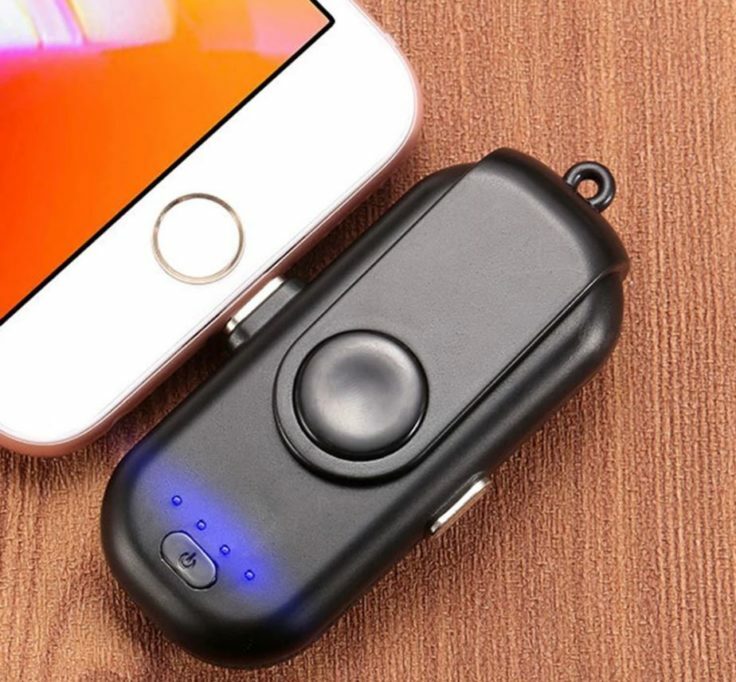 Having the battery conveniently on your keychain can be worth $10. The decision is yours. What do you think of the gadget, and would you buy it?